Why not treat yourself for this creamy and nutritious Apple, Banana & Blackberry Juthie? I call it Juthie as it is a combination of some freshly squeezed apple juice blended with beautiful blueberries and banana. Cut the apples in quarters and juice them in your juicer. Place the blackberries and banana into the blender, pour the apple juice and coconut milk over them and blend for 30-35 seconds until smooth. 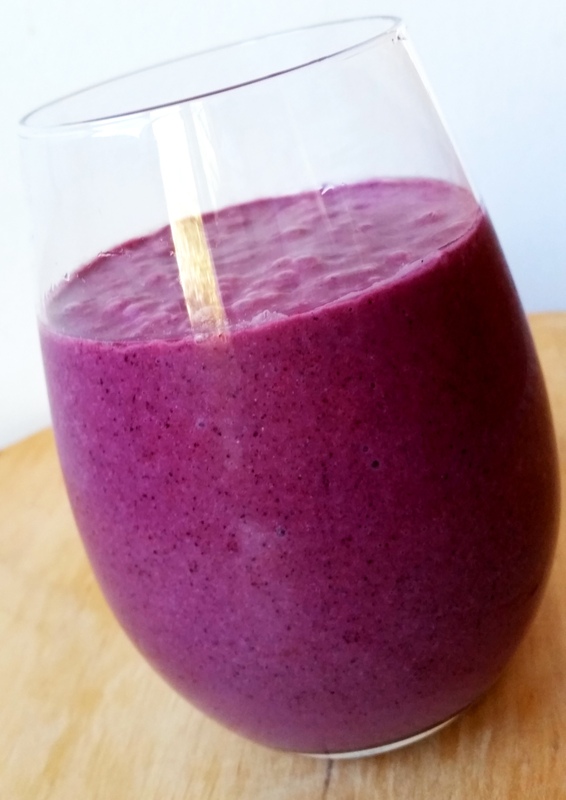 Note: if using fresh blueberries, add a few ice blocks when blending. This little beauty is delicious and oh-so good for you as it is filled with multitude of nutrients! Blackberries are a brilliant source of anti-oxidants which are required for your brain, nervous system and heart health! They can even enhance your memory. Blueberries also have a high content of vitamin K, which controls blood clotting, as well as Manganese, a mineral necessary for metabolism of fats and carbohydrate in the body! As you all know, apples are a source of vitamin C and we all love our vitamin C, right? Think beautiful skin, healthy bones and strong immune system, just to name a few! And now to bananas, not only they add this extra creaminess and satiety to our smoothies, those little friends are high in potassium, together with vitamin B6 & C, manganese & fiber. And that’s awesome news, as regular consumption of bananas can prevent heart disease, keep your bones strong and assist with elimination. Enjoy and let me know what you think of this simple juthie! 01.13.152 JUICES THAT WILL MAKE YOUR LIVER HAPPY! Previous Post Live light, eat healthy & cook with love! 2 JUICES THAT WILL MAKE YOUR LIVER HAPPY!